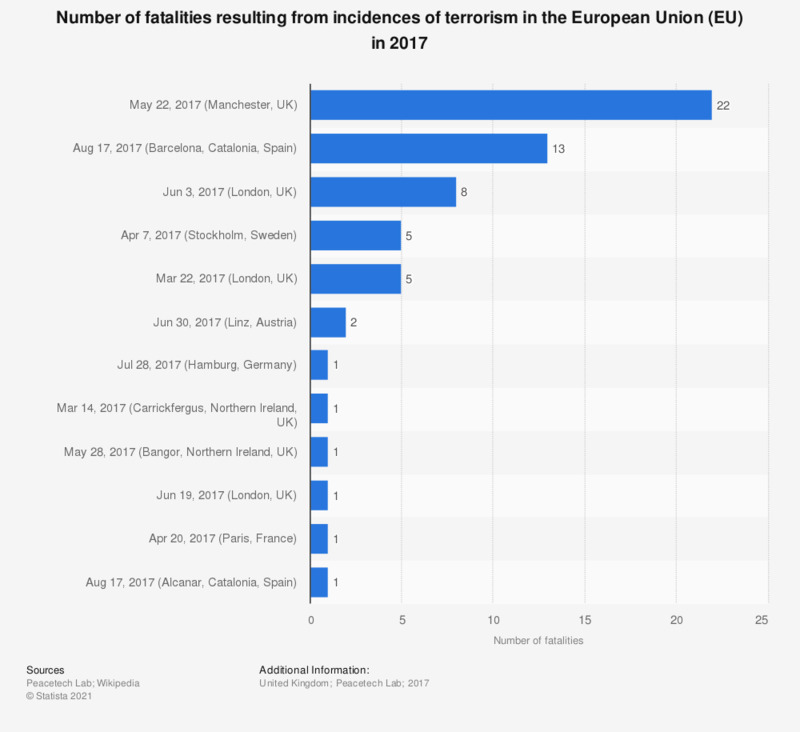 This statistic displays the number of fatalities that have occurred as a result of incidences of terrorism in the European Union (EU) in 2017. The largest loss of life happened on May 22, 2017 in Manchester, UK, whereby 22 men, women and children were killed. Which of the following do you consider to be the single most serious problem facing the world as a whole? Which others do you consider to be serious problems?